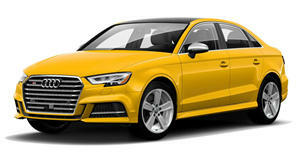 We love the Audi A3 family, even though the US lineup isn't quite as extensive as to what Europe receives. Audi the A3 and S3 for 2017, but there could be even bigger changes in the form of a new body style. According , the hatchback, sportback, sedan and convertible could be joined by a new four-door coupe model. 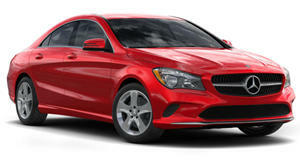 This would make the A3 a more direct competitor for the Mercedes-Benz CLA. Four-door coupes are all the rage right now, and it seems like the German automakers are all clamoring to build more of them. Audi's goal is to shift its compact models into the executive class, which is where the A4 currently competes, without a drastic price hike. This strategy has worked well for Mercedes with niche models like the CLA and CLA Shooting Brake, which unfortunately is . Audi is hoping to catch up to Mercedes, which just had its , becoming the best-selling luxury automaker in 2016. Introducing a new A3 variant would also help Audi achieve its goal of having 60 individual models by 2020. So what could this new A3 Coupe look like? The new car will retain the look of the A3 up front, but with a bolder design, new grill, LEDs, bumpers, and a wider stance. The design could resemble the , which was one of our favorite recent Audi concept cars. Before the new four-door coupe model arrives, the new hatchback will be revealed in 2019. The new A3 will still be based on the MQB platform, but it will grow slightly to have more interior space. It will also borrow some advanced technology from the upcoming A8. The virtual cockpit will be updated and self-driving should be prominent in some capacity. The A3 will likely have a variant with some form of electrification as Audi attempts to move away from Dieselgate. 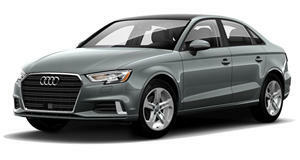 Based on the rumors, the new A3 should be even better than the current model, which should make it a great car.